Tune into the live broadcast of American Graduate Day on Saturday, October 14 from 2:00 - 6:00 pm on MPT. Throughout the day, you will hear about the incredible work going on around the country to enhance educational opportunities for children and youth, learn about diverse pathways to career success, and workforce development opportunities. As part of this year's broadcast, MPT is sharing the empowering stories of organizations and individuals in Maryland giving back to their communities through quality educational programs and services. 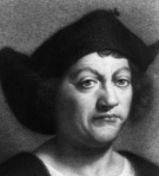 Columbus Day celebrates Christopher Columbus's voyages to North America from Europe in the late 1400s. Find out how Columbus made it to North America by accident, but still got a holiday in his honor, and how some people use Columbus Day to honor the people that already lived in North America before he arrived. Help students improve their reading and writing skills using the topic of bullying. In Thinkport’s ELA activity, students use fiction and nonfiction resources as well as interactives and media to prepare an argumentative writing assignment to encourage classmates to stop bullying. Get helpful tips on preventing bullying from PBS Parents, and guidance on handling tough situations for your school-aged children. Introduce learners to the literature, life, and times of one of America’s foremost writers. 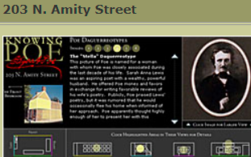 Get to know Edgar Allan Poe through a collection of interactive activities and lessons that delve into his famous works, perfectionist editing, eccentric life, and mysterious death in Baltimore, MD. 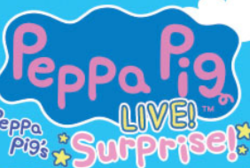 Join Peppa, George, Mummy Pig, Daddy Pig and more in an all singing, all-dancing adventure full of songs, games and surprises!